A typical macuto is used either a “container” or beacon for the spirit of a deity or ancestor, or for a specific purpose similar to a gris gris. 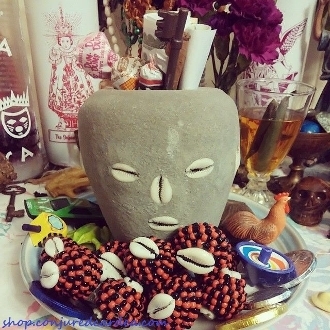 Where some Hoodoo or Voudou practitioners’ formula for making gris gris is not so heavy on the specific spirituality, the macuto is all about the spirits. Use in honor of Ellegua or Legba. Or to open doors, draw opportunity, clear paths, receive messages or recieve divine aid.